TANCS® kills norovirus within 2-7 seconds. Norovirus remains infectious on surfaces for days or weeks. Chemical-free, pollution-free surface cleaning and disinfection — in just seconds of contact time — now possible using Saturated Steam Vapor with TANCS®. EVERETT, WA, USA, November 6, 2018 /EINPresswire.com/ -- Advanced Vapor Technologies (AVT) — the leader in saturated steam vapor (SSV) systems for chemical-free, pollution-free surface cleaning and disinfection — has announced its “Norovirus Buster” equipped with TANCS®. The TANCS MondoVap®, VaporJet® and Ladybug® SSV systems have been independently tested, with peer-reviewed results showing complete destruction of norovirus in 2-7 seconds without compromising air quality! 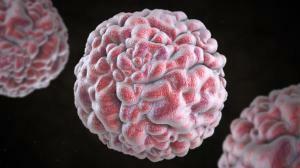 Unlike colds and flu which do not survive long on surfaces, norovirus “can stay on objects and surfaces and still infect people for days or weeks” (CDC). Gastroenteritis caused by caliciviruses such as Norovirus, spreads easily and quickly, especially in enclosed places during Winter. The TANCS Norovirus Buster destroys caliciviruses in seconds without the use of harsh chemicals, harming indoor air, or the need to keep the surface wet with the active ingredient. Chemical disinfectants — EPA-registered pesticides with toxic ingredients — require the surface stay wet with the product 10-20 minutes, which almost never happens. Exposure to disinfecting chemicals is also known to be harmful and contribute to respiratory illness. 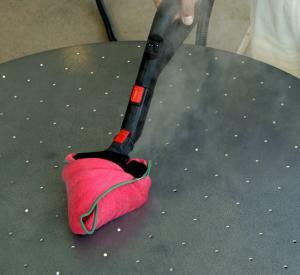 Heat energy carried by invisible steam applied with special insulated tools kills norovirus much faster than legacy methods using a tiny amount of potable water (1.5 quarts per hour), and without airborne contaminants. While norovirus can withstand heat up to 140 degrees Fahrenheit (Ref: CDC Norovirus Fact Sheet),TANCS SSV delivers 190-220 F. low-moisture (6%) steam directly to the surface, leaving it dry and virtually germ-free — without chemicals. TANCS does the job without hazmat or special training; disinfecting the applicator in the process. Call 800-997-6584 today for a demo of TANCS® high-impact saturated steam to keep your indoor space healthy and safe during winter and throughout the year. Breathe easier knowing you’ve adopted a safer, more effective method to eliminate norovirus without the risks of chemical disinfectants.